You get all of this for $695 (plus applicable filing fees). We charge a flat fee of $695 (plus the applicable state filing fees) for a complete corporate package. If you form three or more entities the fee is just $595 each, plus the filing fees. We are well aware that there are other companies that charge as little as $99 for an incorporation. We have tested our competitors and found a time-tested maxim to be absolutely true: You get what you pay for. When you add it all up, the few dollars more you spend with Corporate Direct is more than offset by dealing with a serious and professional provider who is not trying to upsell you on hidden and unnecessary services. Corporate Direct is completely open in providing the exact services you need in a timely manner at an affordable package price. You may be surprised that we don’t hide or mask our fees. We don’t. Our fee structure is open and free for all to see. When you incorporate with Corporate Direct, we want you to know your costs before you begin the process. Choosing a business entity is a big part of your company’s organizational structure and you should know exactly what it costs at the start and on an annual basis. When you incorporate with Corporate Direct, you work with experienced paralegals and staff. They will guide you through the process. Why incorporate? Incorporating and asset protection go hand-in-hand. If you are in business or hold real estate or other assets, you need to form a corporation, LLC or LP to protect yourself and your family from millions of lawsuits brought every year. Incorporating can also provide tax savings and privacy benefits. 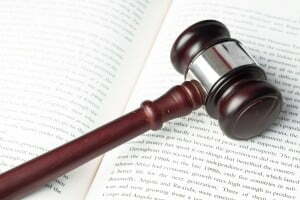 In some cases you’ll want to speak with a lawyer regarding your specific situation. Corporate Direct is affiliated with Sutton Law Center. If you need to speak with an attorney, Garrett Sutton, Esq. is an experienced corporate and asset protection attorney. His regular hourly rate is $395 per hour and $175 for an initial half-hour telephone consultation or $350 for an initial 60-minute consultation. If you are going to form three or more entities, you are entitled to receive a free quarter-hour consultation with Garrett Sutton or Tyler Altom, based upon availability. This consult requires the proper deposit along with the formation of three or more entities. Please call (800) 700-1430 for more information about this offer. If you know that you need a corporation, LLC or LP without speaking with an attorney, please call (800) 600-1760 to get started right away.